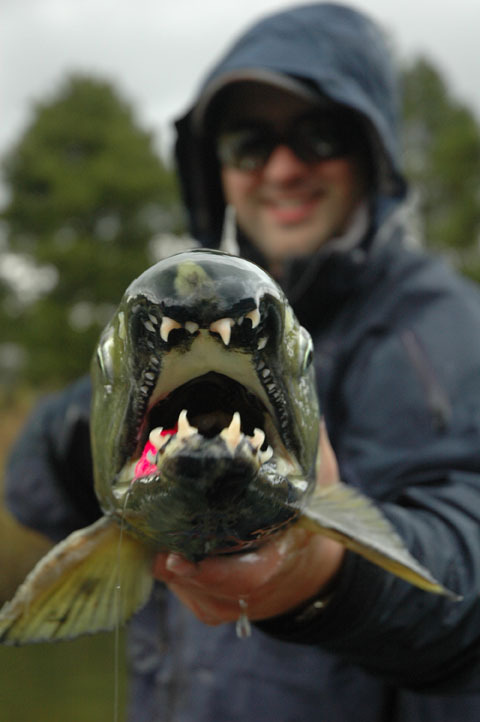 The Chum Salmon (Oncorhynchus keta) is not among the most desirable salmon in terms of human consumption, to the point that the euphemistic label of “Keta Salmon” is often used in supermarkets. While culinarily unexciting, the Chum salmon exhibits some fascinating behavioral and physiological adaptations to its environment. With very few exceptions, salmon are anadromous, meaning they begin their lives in freshwater, (dramatically) change to adapt to salt water as adults, then head back to freshwater when it comes time to reproduce. Salmonids are also famous for their widespread semelparity (dying after mating). The combination of these traits result in salmon that grow to reproductive size in the oceans and then return to freshwater before they die, which dramatically enriches their riparian breeding habitats with nitrogen and other nutrients from the open ocean. 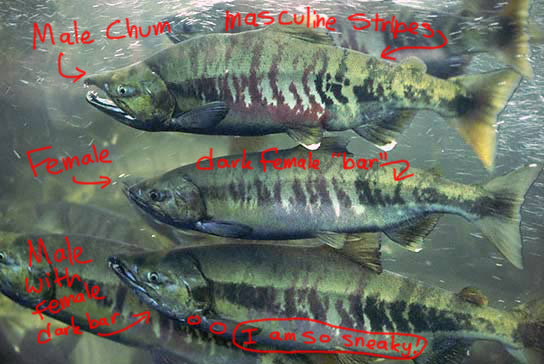 Like some other species, the Chum Salmon have two separate mating strategies: large, territorial males and smaller, “sneaker” males, each with distinctive phenotypic characteristics. However, male chum are notable in that a single individual will employ both strategies within their lifetime. After chum re-enter freshwater, they begin to rapidly decompose, dying roughly two weeks after returning. When they first arrive in fresh water, territorial males are aggressive, guarding females and attacking satellite males. After a few days in freshwater however, a male’s ability to compete greatly diminishes, and these once territorial males change their coloration to match chum females. This change in coloration is matched by a change in behavior – the disguised older males now act like female chum in a final effort to ‘sneak’ a few more fertilization opportunities before they perish. Previous Post The Drunken Monkey: Is Our Desire for Booze an Evolutionary Hangover?